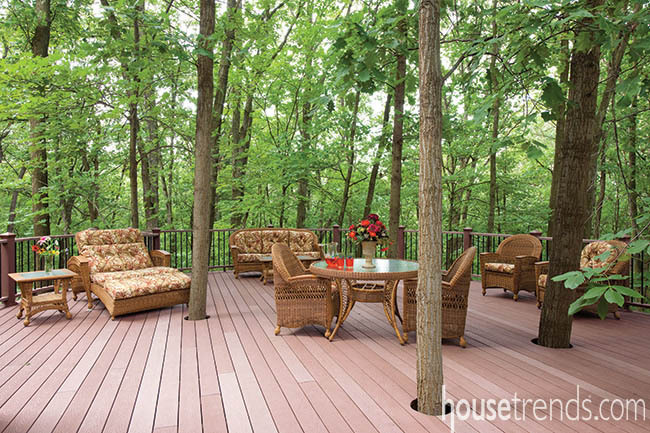 These homeowners wanted to preserve as many trees as possible and went as far as including them in their deck design. Those in search of a suburban lifestyle, with quick commutes to the airport and downtown Pittsburgh, may want to take a gander at Moon Township. 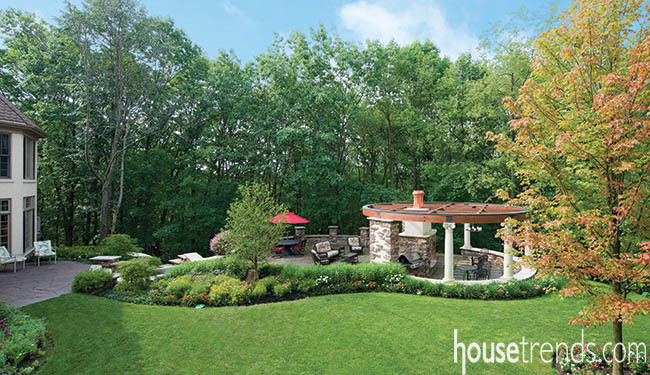 Kathie and Dave surveyed it, fell in love with it, and built an exceptional home there before embarking on a journey that involved transforming their back yard with very specific landscape ideas. They chose an upscale community, and bought a chunk of land that is 900 feet from the road. 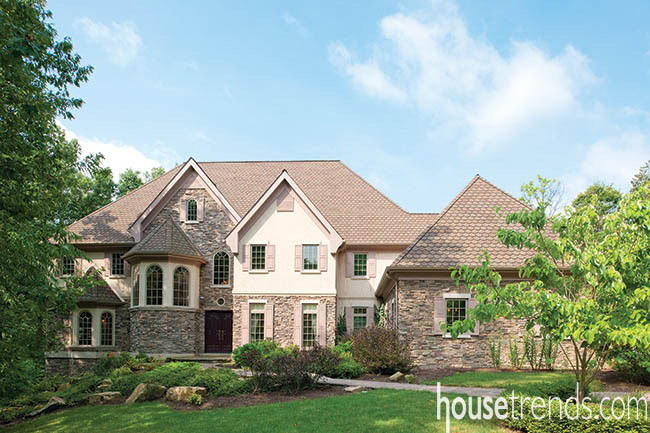 The stone and stucco house appears as if it was plucked from the pages of a fairy tale. “It’s Tennessee stack stone, and the key was finding an installer,” explains Dave. 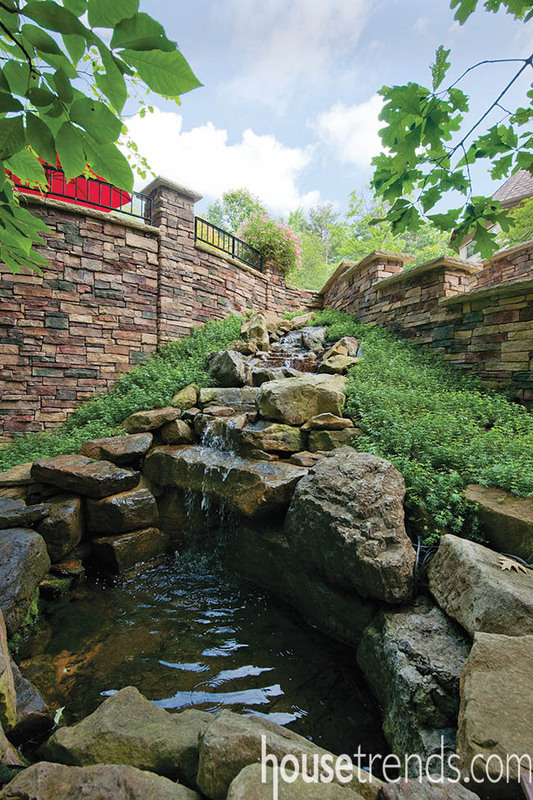 It was installed as true stack stone without mortar joints, and has been accented with limestone bands. 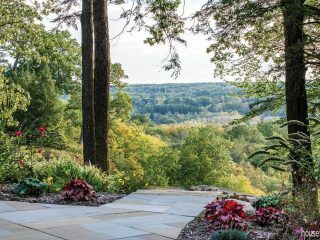 At the owners’ insistence, builders left most trees intact throughout the 3 acres of wooded land. 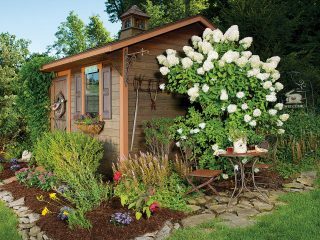 Several years after moving in, the couple laid out an elaborate plan for their back yard. 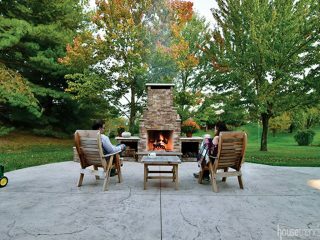 The land wasn’t usable, so they built an extensive patio with a fireplace and pergola. Music is piped in through speakers buried within the shrubs.